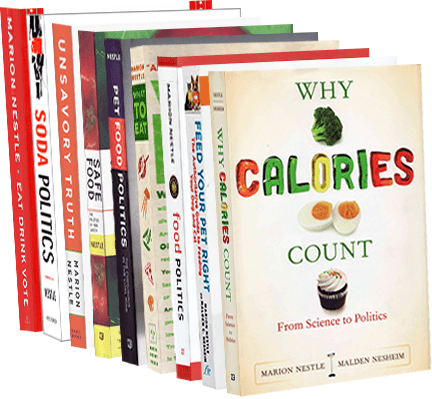 Food Politics by Marion Nestle » Do artificial sweeteners cause–not cure–glucose intolerance? Do artificial sweeteners cause–not cure–glucose intolerance? The big nutrition scare last week was the study in Nature finding that in mice and, maybe, humans, artificial sweeteners mess up the microbiome and make some people even more intolerant of glucose. The authors conclude that their results call for a reassessment of massive use of artificial sweeteners. The new Nature study marks a significant advance because it brings together two separate areas of research—the role of sweeteners in raising blood sugar levels, and the complex workings of the vast colonies of bacteria that inhabit the gut. Individuals can have differing bacterial colonies in their gut, meaning people respond differently to what they consume. Mice fed saccharin, sucralose, or aspartame had significantly higher blood-glucose levels than mice whose diet included sugar, or just water. Mice with sterilized digestive tracts, who were given bacterial transplants from artificial-sweetener-fed mice, displayed higher blood sugar levels than those receiving bacterial transplants from sugar-fed mice. People who typically use artificial sweeteners have different kinds of bacteria in their intestines than those who do not. They also are more glucose intolerant. Seven volunteers fed artificial sweeteners for four days displayed higher blood-sugar levels as well as altered populations of bacteria in their gut. The results from the mouse experiments may not apply to humans, while the human experiments had a small sample size. It said further research was needed. Despite my lack of enthusiasm for artificial sweeteners, I think the Calorie Control Council has a point. The excellent report by Kenneth Chang in the New York Times explains why. At present, the scientists cannot explain how the sweeteners affect the bacteria or why the three different molecules of saccharin, aspartame and sucralose result in similar changes in the glucose metabolism. They have no demonstrated effectiveness in helping people lose or maintain weight. Do they mess up the microbiome and cause glucose intolerance, insulin resistance, and metabolic syndrome? That would be fascinating, but I’m reserving judgment pending further research. In the meantime, I’ll take sugar—in moderation, of course.